Call us for information on pricing and services. Ask for Jose, Jessie, or Joe. If calling by phone, please mention our website. Please send any comments and questions to our e-mail about pricing or any other concern you may have. 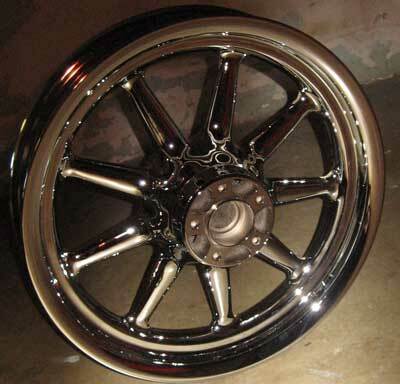 Chrome plating is a finishing treatment utilizing the electrolytic deposition of chromium. 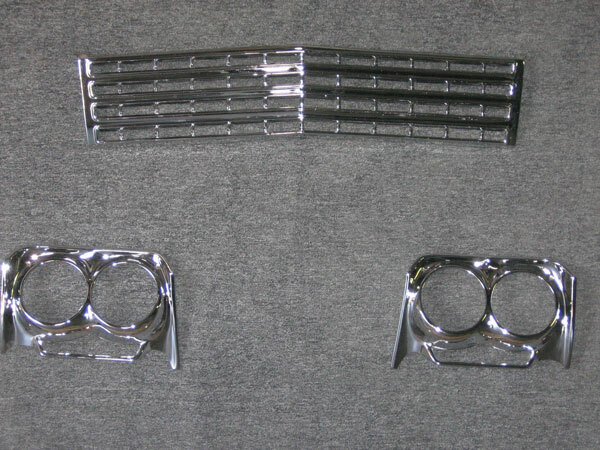 The most common form of chrome plating is the thin, decorative bright chrome, which is typically a 10 µm layer over an underlying polished nickel plate. 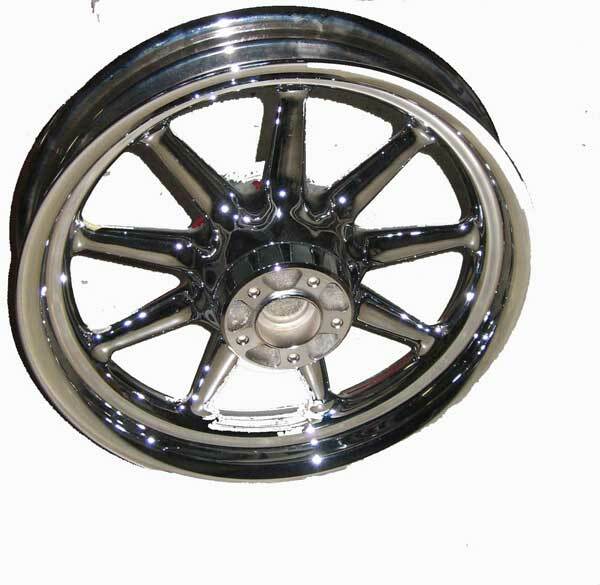 It imparts a highly reflective finish to items such as metal furniture frames and automotive trim. Thicker deposits, up to 1000 µm, are called hard chrome and are used in industrial equipment to reduce friction and wear and to restore the dimensions of equipment that has experienced wear. Triple plating, first copper, then nickel and finally the chrome layer. The chrome layer is actually quite thin while both the copper and nickel layers are much thicker. The copper is used to seal off the base metal and the nickel is used to obtain both leveling and corrosion resistance. Before some parts are chromed plated or have nickel put on them we place a coating of copper. This will cover up small imperfections i.e. pits, minor scratches. This is a process known as "Triple Plating" where copper is place before the nickel and chrome. Thus giving the nickel a vibrant shine and longer lasting life. This is especially done on steel that is 20 years old or older. The steel on older model cars has been through much more than the newer steel bumpers, such as rust due to moisture or weather beaten. There is an extra cost for the type of plating but it is well worth the price if you are restoring your older model classic car. Call us for information on prices and turn-around time on parts.